Not only does pumpkin pack a delicious and nutritious punch in your favorite recipes, pumpkin face masks could be your favorite skin care treatment too. With benefits that range from increasing moisture levels to brightening skin tone, pumpkin is a beauty-boosting superstar. Read on to learn why a pumpkin face mask is exactly what your skin needs, as well as which Eminence Organics pumpkin products will complement your skin care routine. Often evoking memories of a tasty coffee cake or pie, spreading on a luscious layer of pumpkin face mask not only smells heavenly, it also leaves your skin baby soft and silky smooth. 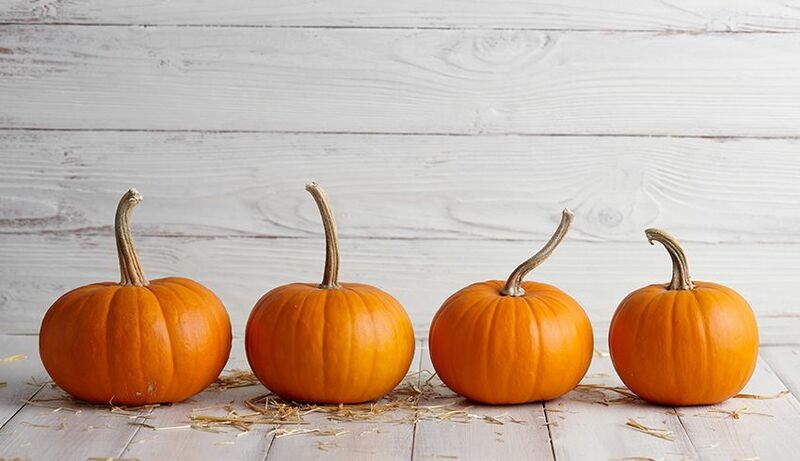 This is because pumpkin pulp and pumpkin seed oil contain a wide array of beneficial nutrients including vitamins, minerals, fatty acids and Alpha Hydroxy Acids (AHAs). Incorporating pumpkin into your skin care ritual is easy. There are several fabulous Eminence Organics options that range from at-home to in-spa treatments, ensuring your skin stays smooth and supple. Our limited edition Pumpkin Latte Hydration Masque will leave your skin looking smooth and vibrant. This pumpkin face mask helps restore your skin’s natural moisture balance with Vitamin E and Omega 9 fatty acids in a dreamy puree of fresh pumpkin to fight the appearance of fine lines and wrinkles. Alicia recommends doing your own mixology of the Pumpkin Latte Hydration Masque followed by the Cranberry Pomegranate Masque for a real seasonal mix! Eminence Organics Lead Skin Care Trainer Natalie Pergar has also done some great pumpkin face mask blends to inspire you. Watch the video below for a scrumptious and nourishing mix featuring our Pumpkin Latte Hydration Masque and Coconut Cream Masque. Available year round, our award winning Yam & Pumpkin Enzyme Peel 5% is an at-home exfoliating peel containing lactic and glycolic acids. This treatment refines and evens skin tone, including the look of dark spots, and provides gentle exfoliation without any irritation. Please note that this peel does need to be rinsed thoroughly after applying, and neutralized with our Soothing Chamomile Tonique. The Yam & Pumpkin Pro Enzyme Peel is not our only pumpkin professional treatment; you can literally be wrapped in pumpkin goodness with our Pumpkin Cream Body Wrap. Not only does this professional treatment feel like decadent bliss, it will leave your skin glowing from head to toe. Containing pumpkin as a main ingredient (of course! ), this luxe body wrap also boasts skin care saviors like shea butter, lavender and chamomile to deeply nourish and smooth. After the esthetician has rinsed away this wrap and massaged in an Eminence Organics body moisturizer, you’ll find the appearance of your skin’s texture improved, a reduction in the look of fine lines and an overall feeling of deeply moisturized skin. To experience this treatment yourself, book a visit to your nearest Eminence Organics partner spa. The Pumpkin Cream Body Wrap is a limited edition product, so don’t miss out on an indulgent opportunity for your body to drink up all the benefits of pumpkin.